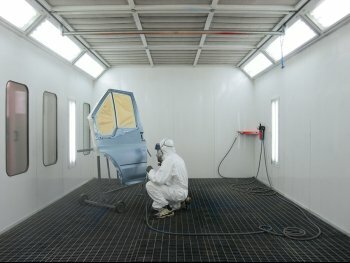 Have you had a great customer experience with Orange County Coatings? Share it with the world on our Google+ page . If your bare concrete floor is no longer meeting your expectations, you may want to consider a garage floor epoxy coating. 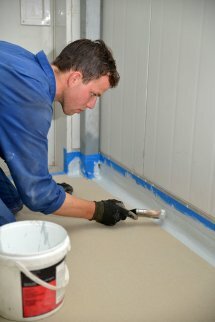 With garage floor coating , you can improve the look and durability of your garage. When you install epoxy coating in your garage, you will have several garage flooring systems to choose from. For example, you can choose a water based epoxy coating, which is a cost-effective and durable choice for your flooring needs. For improved performance and a matte finish, you may want to choose a garage floor coating that is made of 100% solid epoxy coating. For the highest level of appearance and performance, you can also choose a top-of-the-line epoxy/polyaspartic garage floor coating. Each type of floor coating is suitable for use in a wide variety of spaces, from cafeterias to garages. A company offering Orange County epoxy coating can provide you more information about all of the floor coating solutions that are available to you. Keeping the garage organized is a challenge for many homeowners. Without the right garage storage systems, your garage may become cluttered and dirty. At Orange County Coatings, we offer a great selection of garage storage cabinets in Orange County , and we even install garage epoxy coatings to keep your garage looking clean and attractive. If you want to improve the organization and visual appeal of your garage, read this article to create an effective storage plan. The first step in cleaning and organizing the garage is removing junk. Only keep what you use. If you haven’t used something in the last year, give it away, sell it, recycle it, or throw it away. These items not only clutter your garage, but they make the garage less attractive. Measuring the dimensions of your garage will help determine what sorts of garage storage cabinets will fit, and how they will fit. Having measurements will also help you visualize where you will fit the garage storage cabinets. Orange County Coatings offers overhead storage racks, built-in storage cabinets, and wall-organizing slat walls. You can call us at any time for a free estimate. 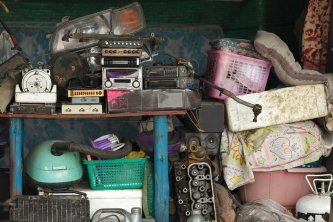 One of the best ways to organize the belongings in your garage is by the frequency with which you use each item. Frequently used items, such as garbage bags and cleaning items, should be kept near the door. Put seasonal equipment such as weed-trimmers, snowblowers, and lawn mowers under a shelf. Clip tools such as shovels, rakes, and clip ladders to a wall rack to save space. Other large items such as bikes, tires, and kayaks should be hung on the wall or from the ceiling. Putting your stuff in containers gets it the floor and it them clean. Transparent bins save space and allow you to see what’s inside. Label your containers so you know what is inside.